BIFA NOMINATIONS 2018 | Wizzo & Co. 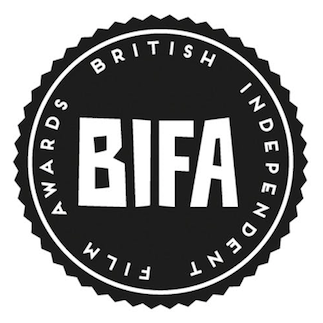 The nominations for the 2018 British Independent Film Awards (BIFAs) were released today, with several feature films featuring work from Wizzo & Co HoDs recognised. Director of Photography Franklin Dow shot the acclaimed feature documentary Evelyn from director Orlando Von Einsiedel – nominated in the category of Best Documentary. Evelyn focuses on the personal experience of director Einsiedel and his family, one decade on from the trauma of his brother’s suicide. Through visiting landscapes he loved, they attempt to address openly their loss – the beauty of the British landscape standing in contrast to enduring the heartbreak at the heart of the film. Also nominated was director Sebastian Lelio’s drama Disobedience – featuring Production Design from Sarah Finlay – which received four nominations, including Best Screenplay, Best Actress, Best Supporting Actress and Best Supporting Actor. In Disobedience, Rachel Weisz plays New Yorker Ronit Krushka who travels to London on the death of her estranged father, returning to the community that shunned her decades earlier for her attraction to Esti (Rachel McAdams) – their reunion unearthing questions of faith and sexuality. Dead In A Week (Or Your Money Back) was nominated for Best Effects – shot by director of photography Luke Bryant and the directorial debut writer-director Tom Edmunds. A black comedy, Dead In A Week centres on the woes of William (Aneurin Barnard), who enlists the services of ageing hitman Leslie (Tom Wilkinson) – the pair entering into a contract guaranteeing death within seven days, just as William unexpectedly discovers a reason to live.